When I first started on an insulin pump two years ago, my diabetes educator prescribed me with insets. During those initial weeks, site changes were an awfully overwhelming experience, causing several hours of anxiety following each change. The pressure from the ‘inset’ insertion device would often trigger bruising and bleeding on my very lean body. I would spend hours watching my site and my blood sugars like a hawk, just waiting for signs of failure. I could really feel the sites ‘digging’ in as I crashed on the couch watching a movie or laid in bed at night. It wasn’t uncommon to feel stinging when I administered mealtime insulin boluses, either. 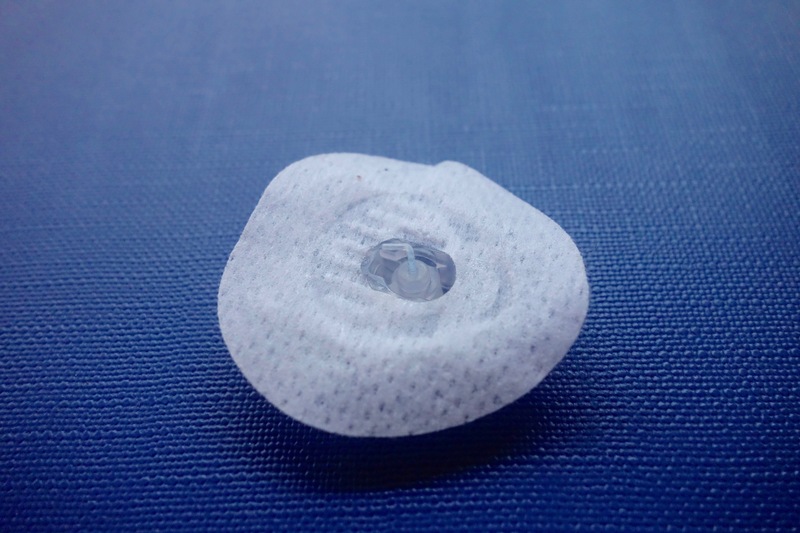 Then there was one tumultuous night where I discovered a kinked cannula hours after a site change, as I was on the verge of DKA (when all I really wanted to do was kick back and watch Serena Williams play in Wimbledon). 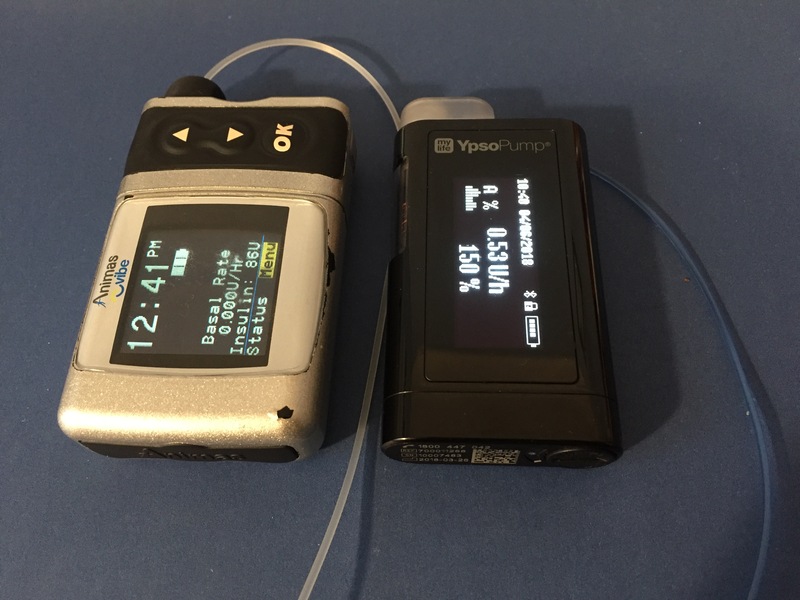 I’d be lying if I said I didn’t question whether insulin pumping was the best option for me. Thanks to the help of the diabetes online community, I eventually found an infusion set that went in on an angle, and was inserted manually with my own two hands and a needle. And it’s quite honestly the very reason that I am still able to use an insulin pump with confidence today. Although I never believed it would be possible at the time, I now realise that I very rarely have infusion sets fail on me. I can place an infusion set with ease, alternating around the left and right sides of my stomach, and go about my day without giving it a second thought. I guess I’ve been reminded of this in recent weeks as I’ve tried to reconnect to my YpsoPump, which does not have angled sets, on several occasions (more about the YpsoPump here and here). The 90 degree sets simply don’t agree with me. When I spend relentless hours of my life managing diabetes, the very last thing I have time for is tending to tethering issues with the devices that I use. I was in the bathroom at work when I first noticed it. A small, deep purple bruise was forming beneath the clear plastic window of my infusion site. I was a little surprised, given that it had already weathered 24 hours worth of insulin boluses and a good night’s sleep. But I was also not surprised, given it was placed smack bam in the centre of my stomach where I have the least meat on me. My mind wandered to the pencil case sitting on my desk, however I soon realised that the spare infusion set sitting in there belonged to my YpsoPump. Not a match for the late Animas Vibe I had replaced it with three weeks ago. My mind wandered to the demi pen and needles that I carry around with me. However, I soon realised that there was no insulin cartridge in there because I’ve been feeling a little paranoid about insulin going bad until recently. My mind wandered to the Chemist outside, which would probably loan me some insulin if I presented my NDSS card and promised to return with a script. However, I soon realised that it would be wasteful given all of the insulin I had in my fridge at home. My mind wandered to the low carb chicken salad that I had packed for lunch. However, I soon realised that there were also amazing croutons in there that I had baked with the chicken juices. Not to mention that my blood sugar might also be a little high if the site was failing. My mind wandered to the needle that was contained in my YpsoPump infusion set. However, I soon realised that there was no way that I would be able to macgyver it to reapply my failing infusion set into a fresh spot. My mind wandered to my lunch hour, where I would probably have enough time to drive home and come back. However, I soon realised that even though I lived close enough, I could not be bothered rushing there and back and wolfing my lunch down afterwards. My mind wandered to my Dad, who I felt super guilty for bothering, but who I also knew wouldn’t ever complain about having to deliver an infusion set to me at work. It’s been a long time since I’ve had an infusion site fail on me well after placing it. I guess in the back of my mind I’ve been putting off updating my travel kit, telling myself it won’t happen. I bring my pencil case carrying all of my diabetes back ups with me almost everywhere I go. I hardly ever need to fall back on it when I’m out and about. And yet the one time I do, I don’t have the right stuff in there! I was full of enthusiasm when I learned that I would have the opportunity to road test a new diabetes toy in the YpsoPump. 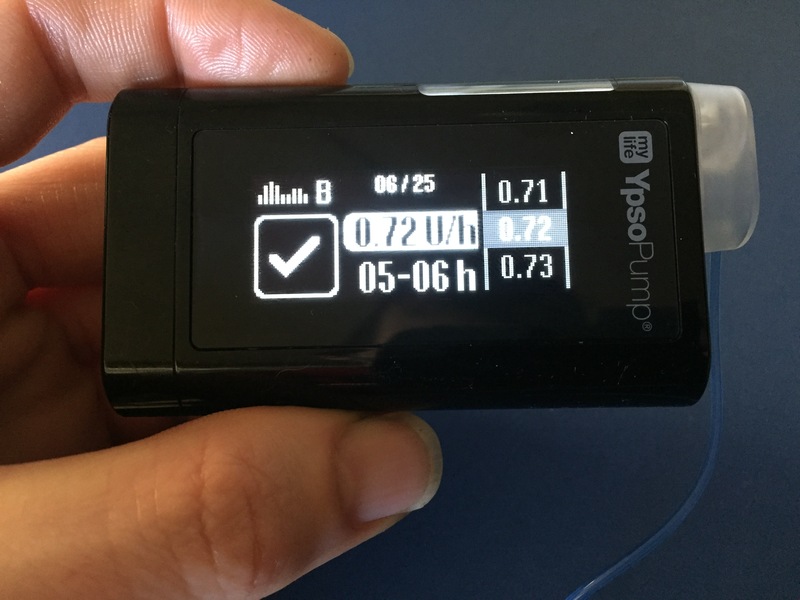 The YpsoPump does have a fair few differences to traditional insulin pumps, but for the majority of my eight week adventure these differences were far outweighed by its sleek and lightweight nature. With a stockpile of supplies belonging to my late Animas Vibe sitting in the wardrobe, I made the decision to pull my old pump out of retirement two weeks ago. It actually has reminded me of some of the features that I have been missing. One of my biggest issues with the YpsoPump has been occlusion alarms. Unfortunately, at least 1 or 2 infusion sets in each box that I have used so far have triggered occlusion alarms. There have been no visible signs of site failures such as kinking or bleeding. High blood sugars clearly indicated that insulin was not getting through, however the alarms only seemed to trigger during a decent bolus of at least 3 units. 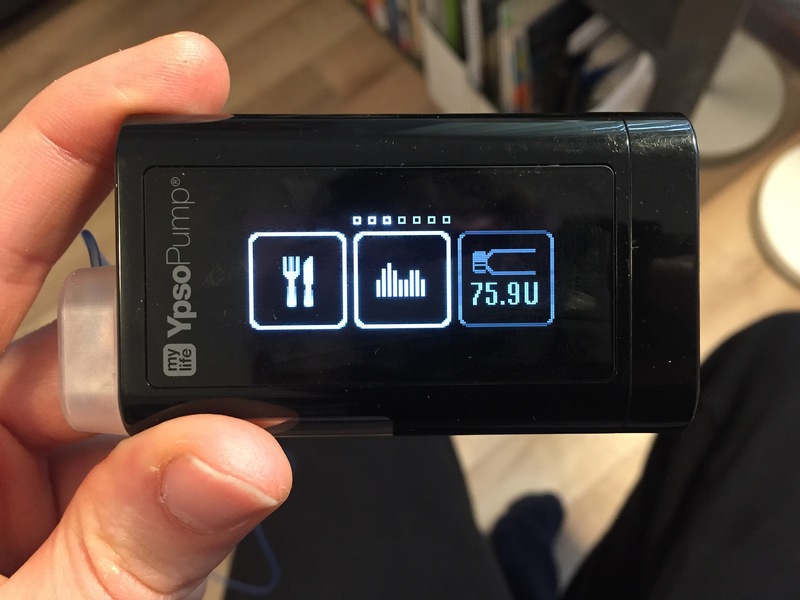 I’ve been connecting to a new infusion site at mealtimes where I’ll give a decent bolus, hoping that any occlusions will be triggered. I have reported the issue to Ypsomed with little answer, although I was pleased that my level of diabetes knowledge was acknowledged over the phone. I do wonder if this is simply an issue of me being too thin and lacking enough tissue to cushion the cannula beneath my skin. Being fairly thin, I don’t think the Orbit inserter is the best practice for me to apply a new infusion site. Inserter devices didn’t agree with me on my late Animas Vibe. While my experience was better than the Animas insets, I definitely intend on manually inserting my sets when I next use the pump. The one thing I would change about this pump is its lack of a built in bolus calculator. While performing bolus calculations on my iPhone is largely okay, I have found myself slacking off here and there. 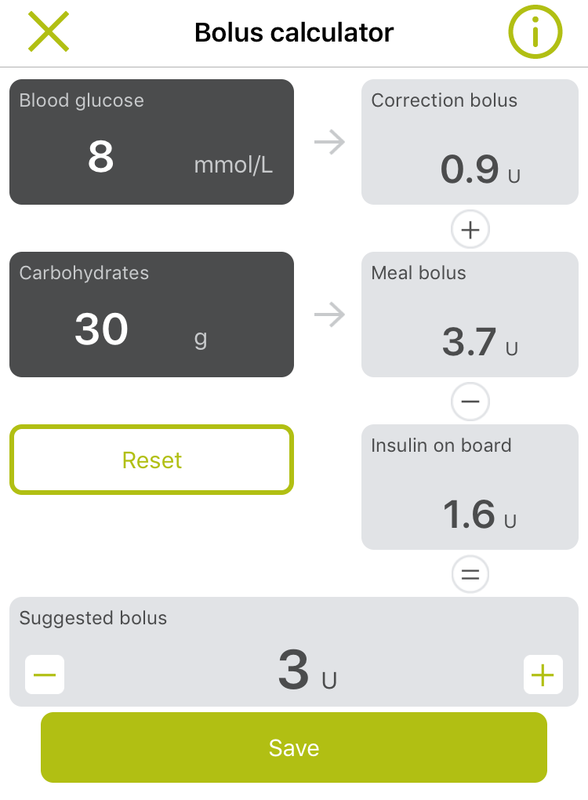 I’d also like to see more customisation in Ypsomed’s bolus calculating app, such as being able to adjust insulin to carb ratios for things like physical activity. 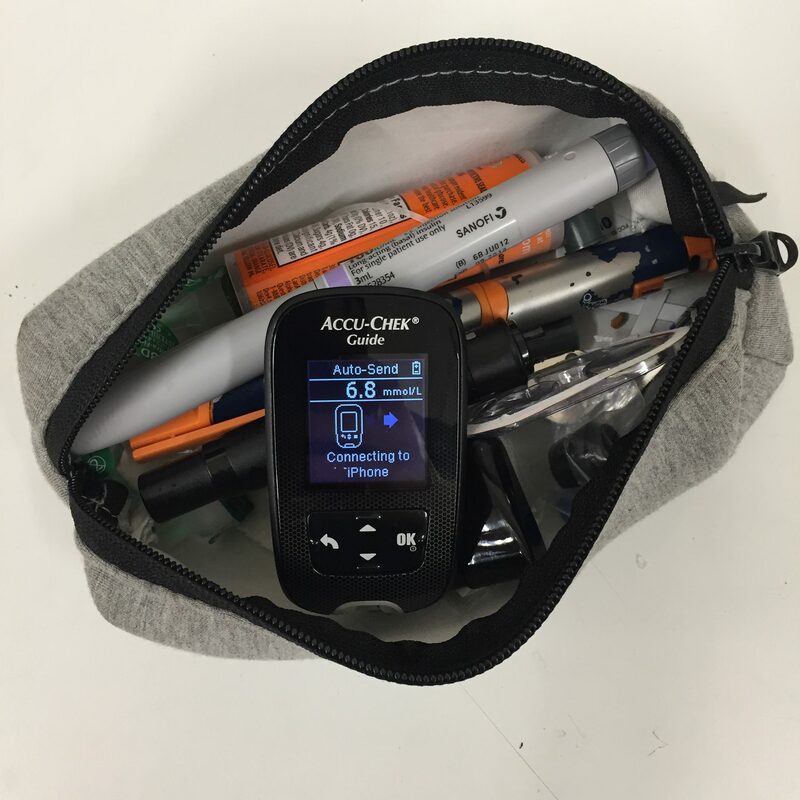 It was also far too inconvenient having to wait for the app to sync with the pump for insulin data to perform a bolus calculation. 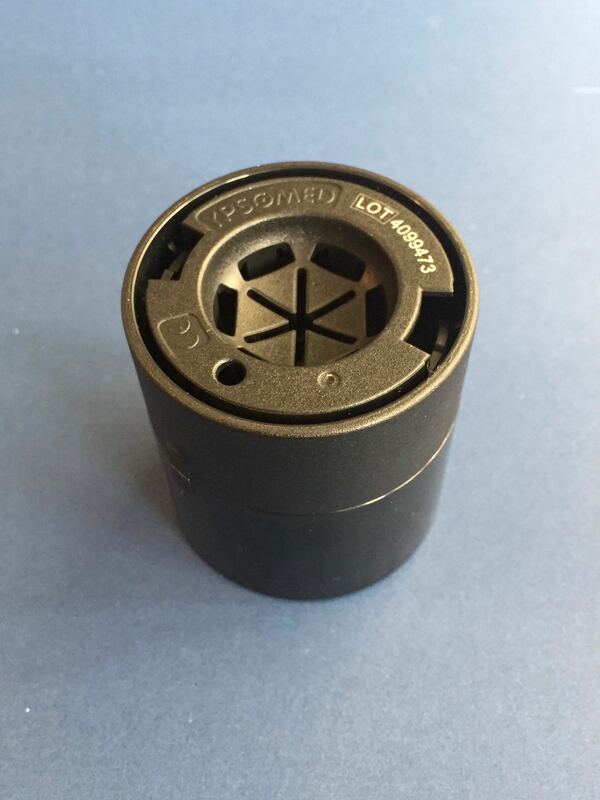 Bluetooth was also a significant drain on the pump’s battery. 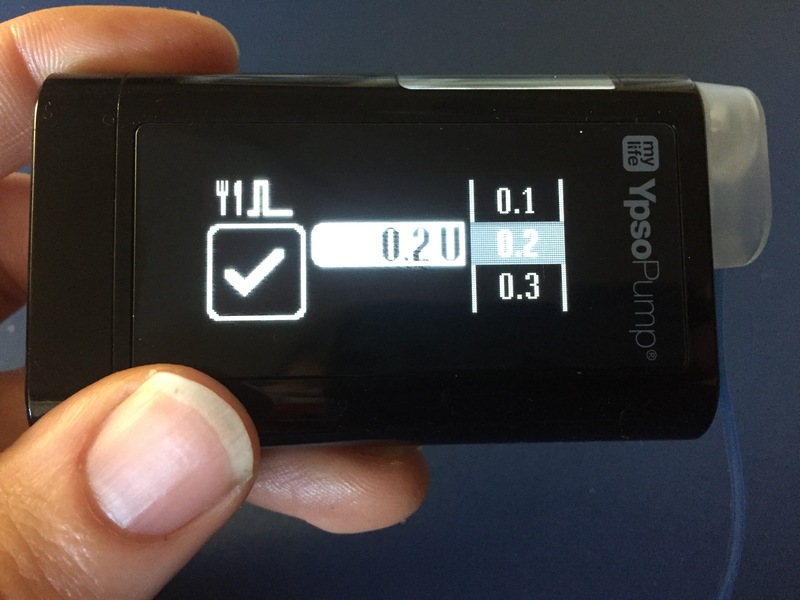 I have since switched the bolus calculator to Multiple Daily Injections mode, instead relying on my ability to log all of my bolus calculations to obtain accurate insulin data. With Bluetooth switched off, I’ve also managed to get a more decent 21-24 days from an Energiser AAA battery. The thing I like most about the YpsoPump is its sleekness, size and lightweight nature. I have definitely missed that in these past two weeks, especially when I’m travelling and have other things to carry around in my pocket as well. I feel confident that I can live with those differences in return for its weight – particularly in the Summer, when pump complacency is a real issue for me. 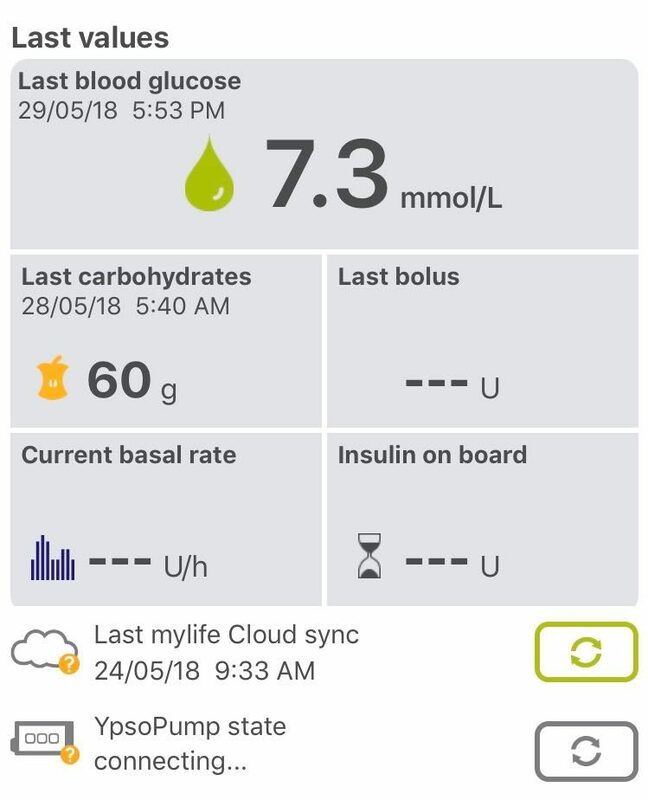 The YpsoPump has definitely been a learning curve over these past eight weeks, but as with all other aspects of managing diabetes, I’ve learned how to best make it work for me. Disclosures: Ypsomed Australia provided me with a YpsoPump, infusion sets, reservoirs and an inserter to trial at a launch event in Sydney. There was no expectation that I would blog, or even trial the pump itself. All opinions expressed here are, as always, my own. 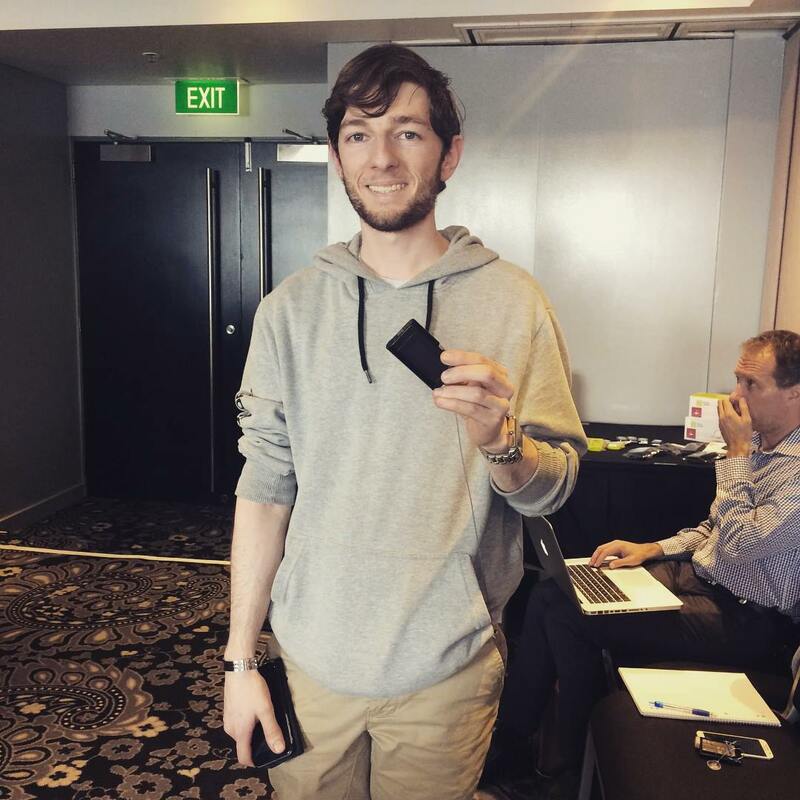 I’ve been road testing the new YpsoPump that launched in Australia last month. If you missed the first half of my review, you catch up here. I must admit that I was a little intimidated at the prospect of using Ypsomed’s Orbit inserter to place infusion sets on my stomach. When I last used the Animas insets two years ago, it was a terrifying experience. The insertion process with the disposable plastic insets were so clunky, leaving me with little confidence in whether my insertion was a success, or whether the cannula had kinked on the way in. I can still recall one tumultuous night where I didn’t pick up on a kinked cannula until several hours later when I had high blood sugars and moderate ketones. Thankfully, I’m finding that the YpsoPump’s reusable Orbit inserter device does a far more efficient job. 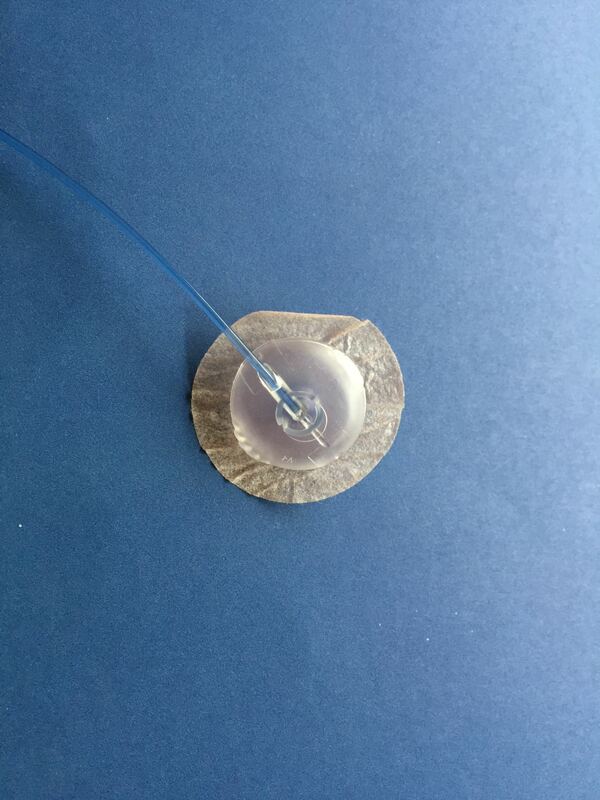 The plastic cannula that sits underneath the stomach feels much stronger than the Animas sets, which would also help with kinking as well. The infusion sets can also be inserted manually. The area does feel a little tender after the pressure from the insertion, compared to the gentler manual Animas sets that I’ve been using. Thankfully, this hasn’t been a sign of any site failures. I’ve been cautiously doing my insertions 12-24 hours prior to switching the site, so that I’ll be able to pick up any signs of a site failure. I’ve had one bad site placement so far, and I was able to pick it up straight away (it was just a bit of blood). I really like that if you do happen to place your site badly, you can simply clip it back onto the Orbit inserter and try again, compared to an inset which is rendered useless once it comes away from the insertion device. It’s also nice to have a reusable inserter device that doesn’t create so much plastic waste like the disposable insets. Ypsomed’s Orbit infusion sets are cleverly designed to rotate 360 degrees. 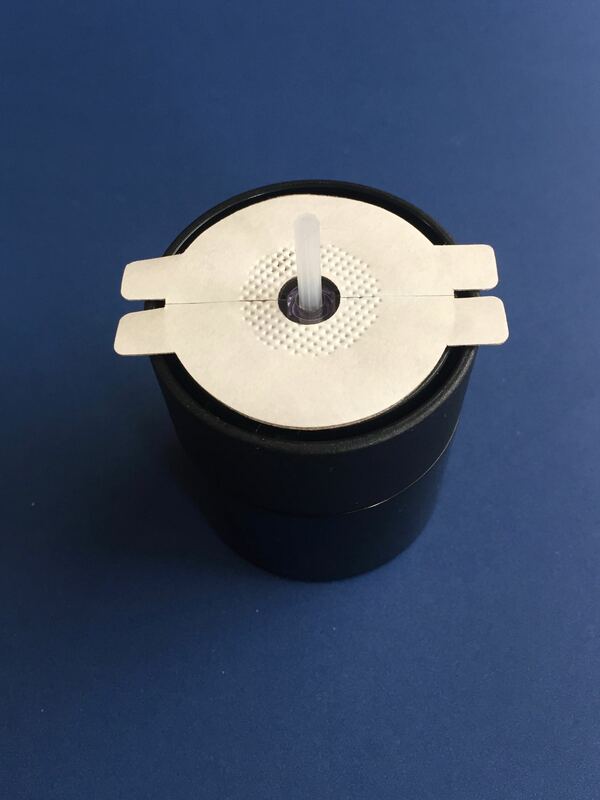 The end of the pump line clips into place over the top of the infusion site, rather than having to be clipped rigidly into the side of a set. The downside to this design is that it is challenging to check the skin where the infusion set is placed for any signs of bruising and bleeding. I’m slowly getting used to seeing through the purple coating, with a little help from my iPhone torch. The sets seem to stick well enough at the centre, although they do tend to come loose around the edges after showers. One thing I am enjoying is less sticky residue left on my skin after removing an infusion site. There is a choice of Orbitsoft plastic infusion sets (6mm and 9mm) and Orbitmicro steel infusion sets (5.5mm and 8.5mm), with each available in lengths of 45cm, 60cm, 80cm and 110cm. I did try one of the steel sets, but I think I am a bit weirded out by having a needle permanently underneath my skin. While it worked just fine for three straight days, I can’t say that it was as comfortable as the plastic. 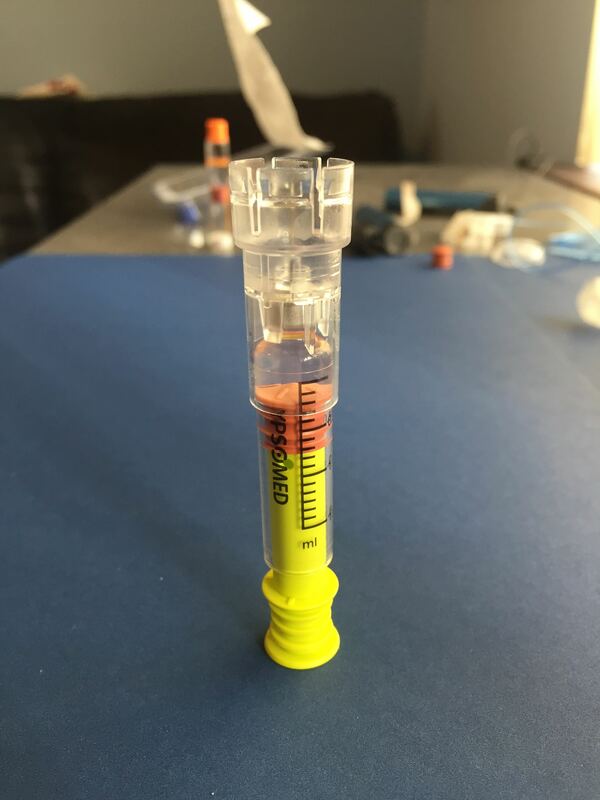 Ypsomed’s glass reservoirs hold 1.6ml of insulin, which is slightly less than the 2ml capacity of Animas and may be a consideration for people on larger insulin doses. We were told that insulin in the glass reservoirs could be used in the YpsoPump for up to 7 days, or stored in the fridge for 30 days. I was also in disbelief as the pump continued to run for up to five minutes while I was changing the battery. There’s no more having to rewind and re prime the insulin cartridge, or worry about losing information about insulin on board. Since I stopped syncing with the mylife app and switched off the pump’s Bluetooth last week, I’m expecting to get around 3 weeks from the AAA alkaline battery. 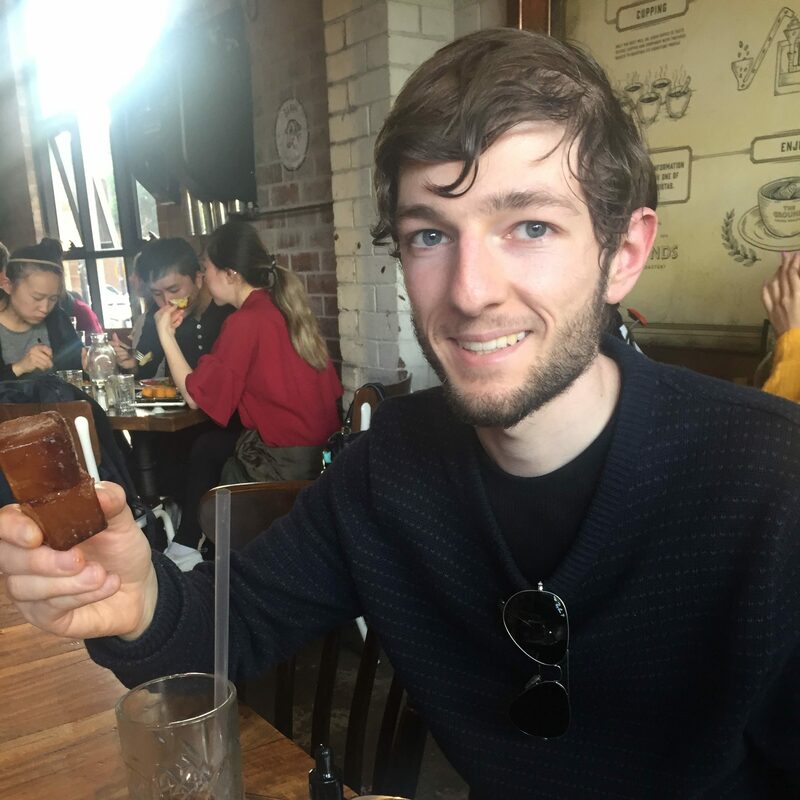 When I caught up with one of the Ypsomed reps in Perth last week, I expressed just how much I want to hear from other people who have used new diabetes tools and technologies. Even during the pilot phase when I had no idea that I would be getting a pump, Ashley’s insights were so valuable. People with diabetes need to be part of the conversation, and I’m super grateful that Ypsomed included us in their launch – which is especially generous considering they are relatively new to Australia. The YpsoPump is available in Australia now. Subsidised consumables are available through the NDSS, although I’ve been told to expect a 7 to 10 day delay as my Pharmacy’s supplier doesn’t carry them. Which is understandable, given it’s a new product and the demand probably isn’t there yet. 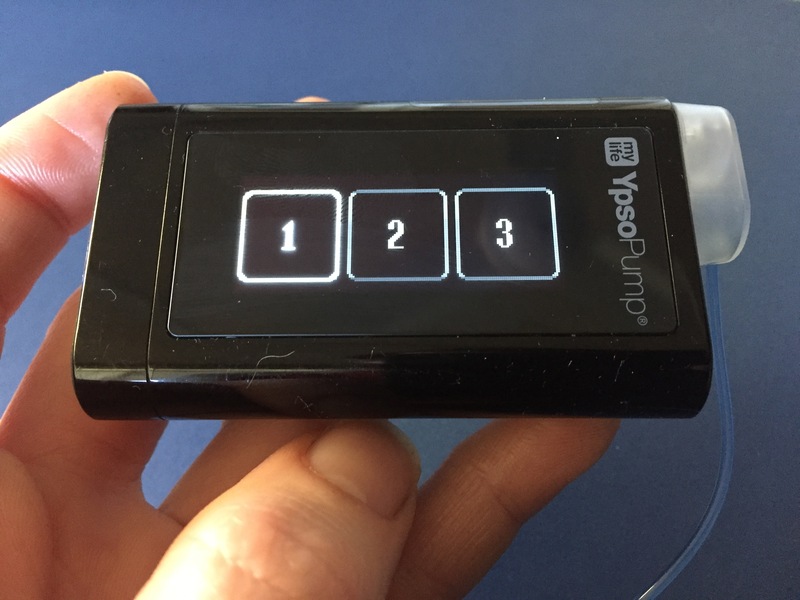 A large group of Diabetes Educators attended pump training in Sydney last month, and Ypsomed has also been travelling around to various clinics around the country to train further healthcare professionals. So if you would like to get started on this pump, I am confident that you will be able to find a trained healthcare professional near you. According to CDE Amy Rush of the Telethon Type 1 Family Centre in Perth, you may be able to get a YpsoPump before your pump replacement is due and Ypsomed will liaise directly with your health fund. I don’t know the details personally, but you can watch Amy’s video here. If you haven’t already noticed the enthusiasm in this post, I genuinely am still brimming with enthusiasm for this pump four weeks in. I think the size, weight and sleekness of this pump are the real selling points for me. After the pump complacency and health insurance issues that I’ve dealt with recently, the YpsoPump could not have come along at a more perfect time to help me feel re-energised in the daily grind. I officially ordered a second box of infusion sets last week, and am feeling quite optimistic about our future together.